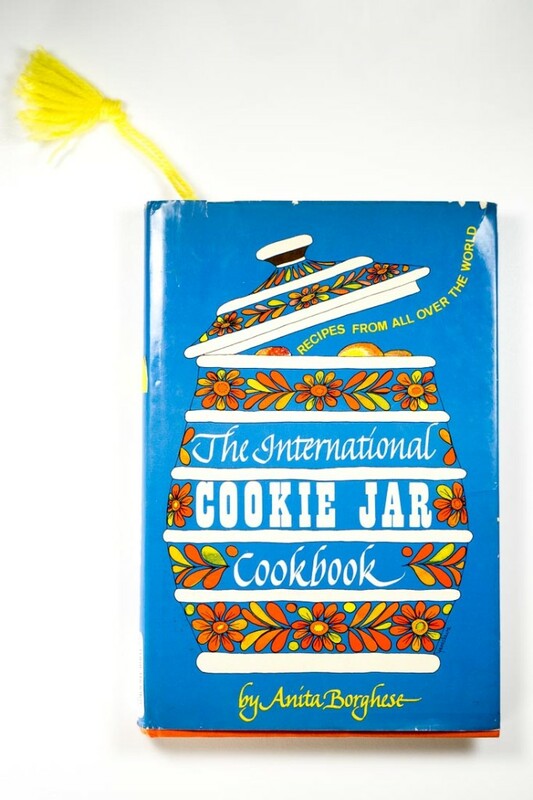 When I was 11, I loved baking from a book published in 1975 called “The International Cookie Jar Cookbook.” Although the book has long since been out of print, I was able to find a used copy for a penny earlier this year. When I thumbed through the book for the first time in more than twenty years, I realized, with a start, that what I had remembered as a cute, illustrated cookie book for kids was actually a relatively sophisticated cookie book for adults. 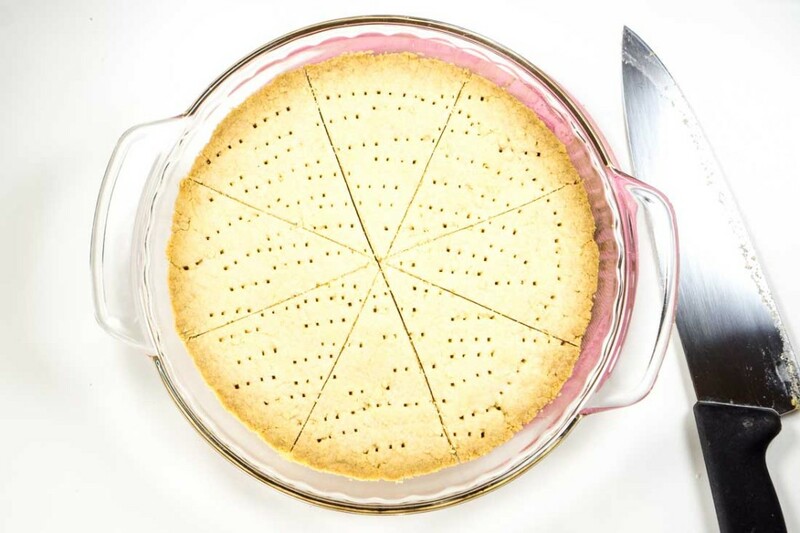 “The International Cookie Jar Cookbook” is particularly important to me because it contains what I think is the first cookie recipe I ever made — a recipe for Scottish shortbread. (When my friend Ani and I were discussing shortbread cookies the other day, this cookbook and recipe immediately came to mind.) The recipe calls for rice flour, which lends an extra “short” texture to the cookies, and has actually been my gold standard for shortbread recipes ever since I made it that first time. One day, my older sister, at that point in high school, voiced her desire to make the cookies. I knew that she generally didn’t care for baking because it was too fussy and complicated, but I also knew that she loved sweets. So I gave her the recipe, showed her where the ingredients were, and left the kitchen to let her bake in peace. I returned to find the oven off, but the toasty scent of baking butter mysteriously filled the air. “Where are the cookies?” I asked my sister. 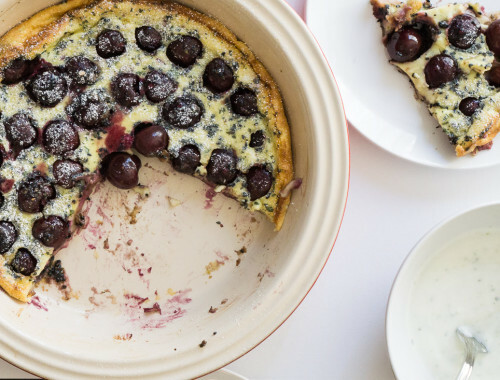 “Oh, they’re still baking — there, in the toaster oven,” she pointed. I was horrified. Inside the toaster oven were clumps of dough, frizzled from the concentrated toaster-oven heat, pools of oil gathering in the pan’s dips. 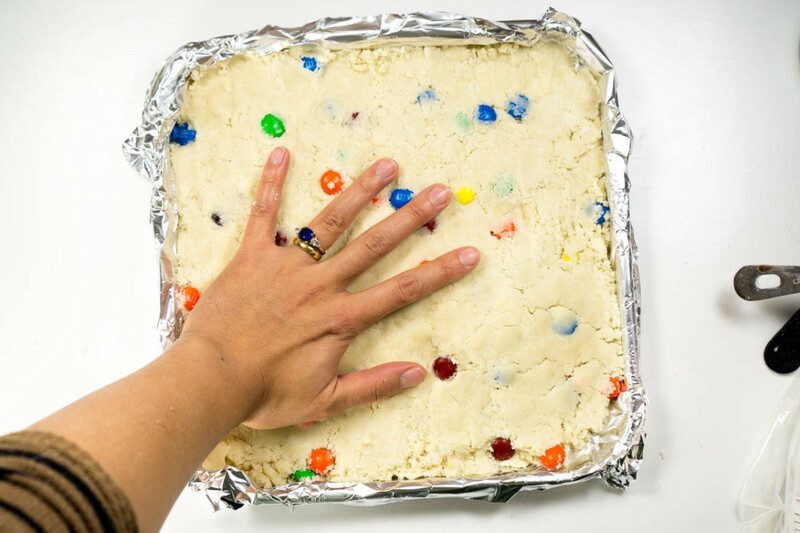 Also, were those M&Ms studded throughout the dough?! I think I was still shrieking after my sister took the cookies out of the oven. 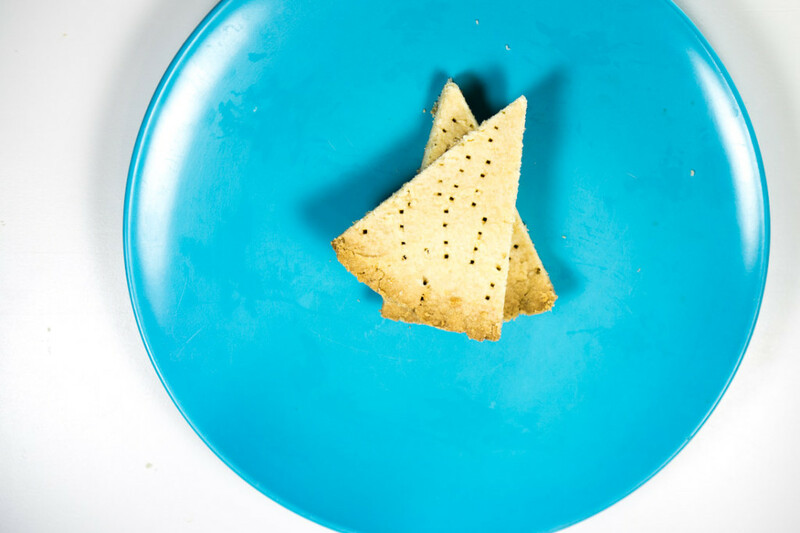 And even after I tasted my first bite of crunchy, greasy, sister-shortbread, I still steadfastly refused to admit that the cookies my sister made were delicious. 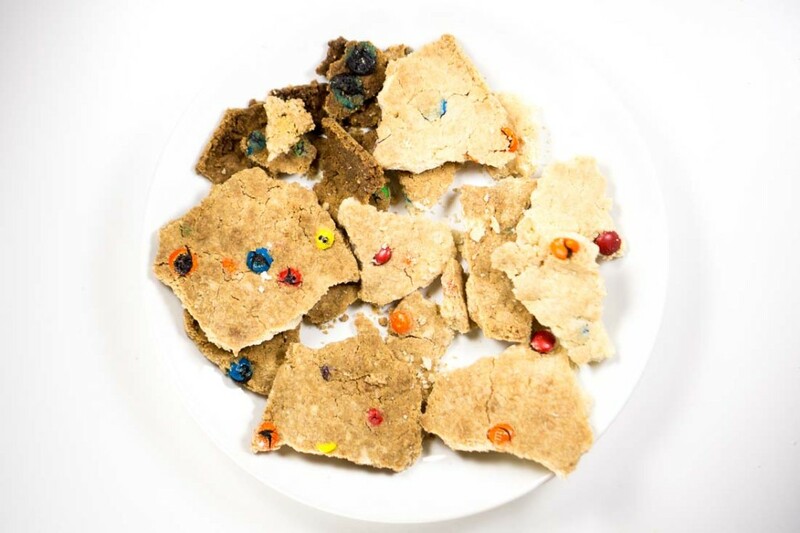 Parts of the cookie had burned, while other parts were underdone. Most of the M&Ms had burned, transforming into a crunchy new candy that I now freely admit is far superior in taste to regular M&Ms. There was nothing Scottish about my sister’s version of shortbread — and yet it was very, very good. When I revisited this recipe, I immediately thought of my sister’s version of the cookie, and decided to make both versions. Both are wonderful. The “purist” version, staying true to the spirit of the original recipe from the book, is tender, crunchy, buttery, and mildly sweet. Cut into perfect symmetrical wedges, they feel very substantial and special, and would be perfect for gift-giving. 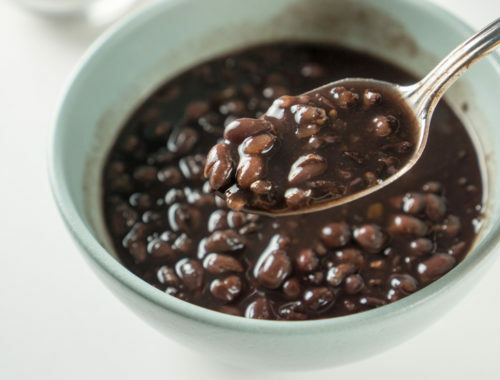 My sister’s playful version is quick and easy, freeform in shape and unapologetically big on flavor and crunch. 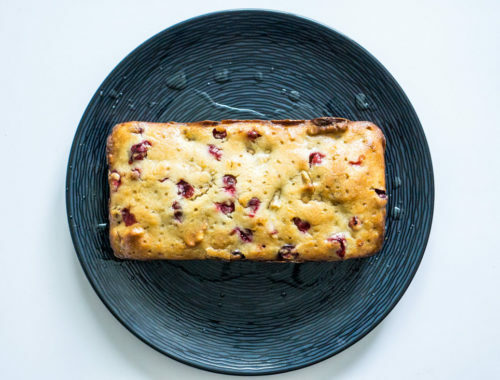 Roughly pat out the dough with your hands, bake them in a toaster oven (or real oven) while you’re bustling around the house, break the cookies like a brittle and pack them in a container, and no one would be sad to get these as a gift. Tasting both cookies as an adult, I find both versions to be addictively buttery…but I will admit that there is one version I reach for, nibbling here and there, far more than the other: my sister’s cookies, by a landslide. (Honestly, the competition isn’t even close.) Good job, sis. My version: I stick to the classic Scottish shortbread recipe. Two different versions of the same cookie: prim and ladylike (my version), versus fun and exuberant (my sister's version). 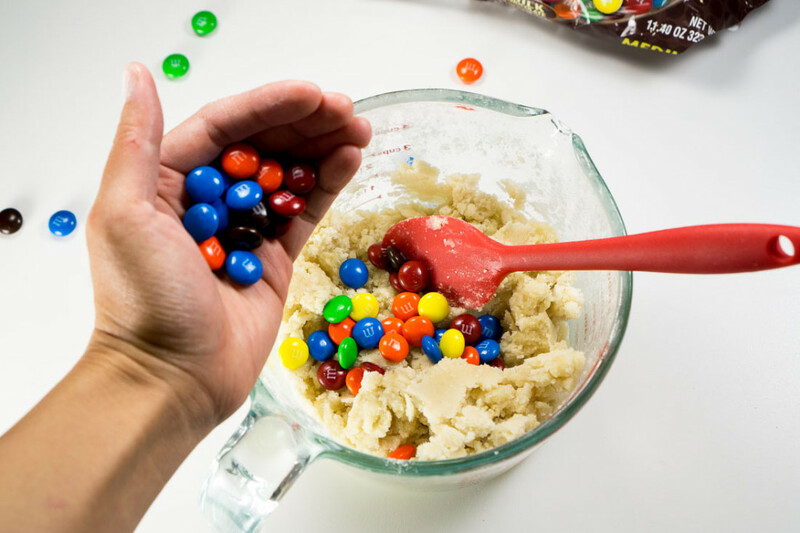 To the above ingredients, add a handful of M&Ms. Preheat oven to 350 degrees Fahrenheit. 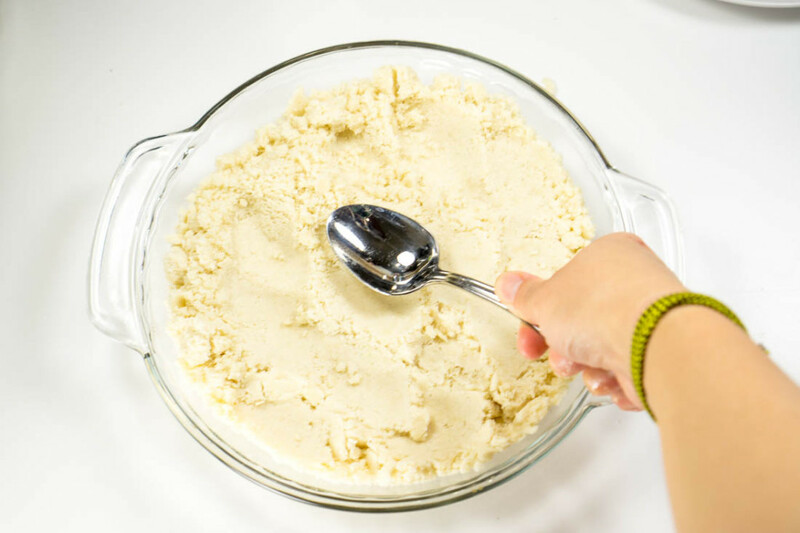 Cream butter in mixing bowl until soft. Add sugar gradually and mix well. Onto a piece of waxed paper sift the flour and rice flour. Gradually add to the butter mixture, mixing well. 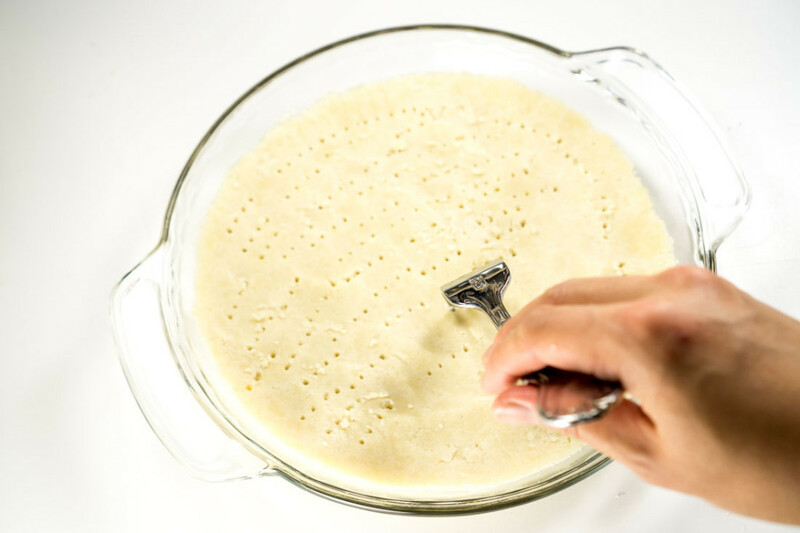 Spoon the dough into the ungreased pie pan, and with the back of a spoon press it down smoothly and evenly over the bottom of the pan. Smooth the edges with your fingers. 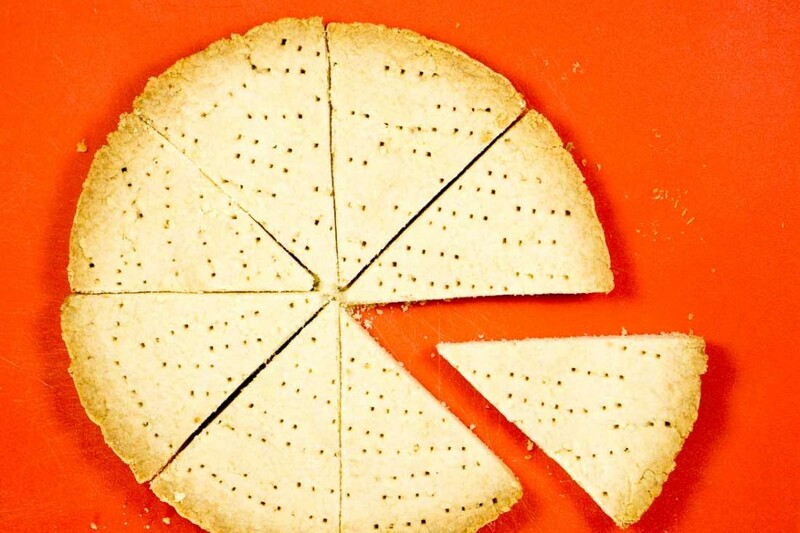 With the tines of a fork make rows of fork pricks on the dough about every 1/2 inch. Bake 30 to 35 minutes until browned to your preference. Remove from oven. Using a sharp knife, cut into 8 wedges. With a spatula remove wedges from the pie pan, and cool on wire rack. 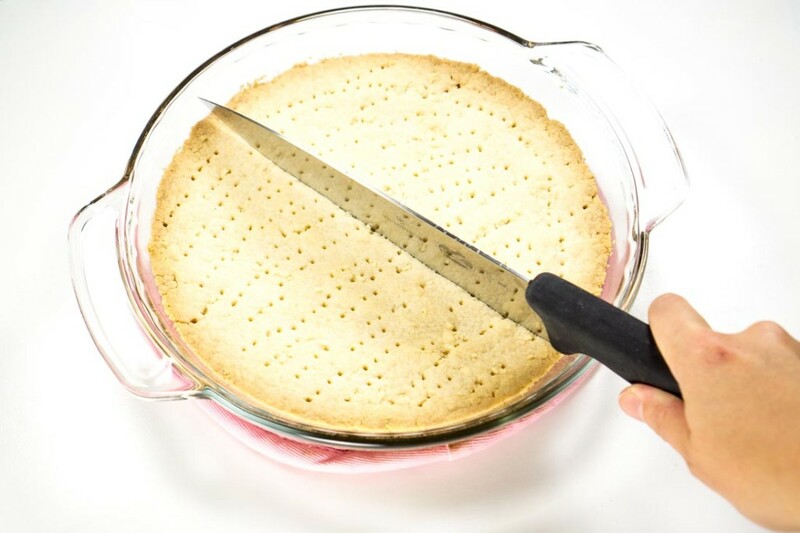 Melt a stick of butter -- preferably, in the microwave in a glass microwave-safe bowl like a Pyrex bowl. (Take care to cover the bowl and zap it in short increments -- otherwise you will have butter splashed all over your microwave.) 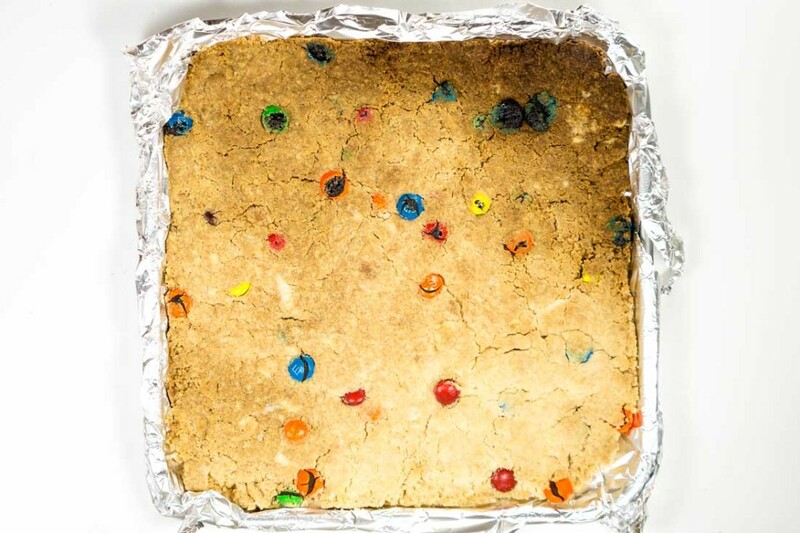 Mix in sugar, and flours, and mix in M&Ms. 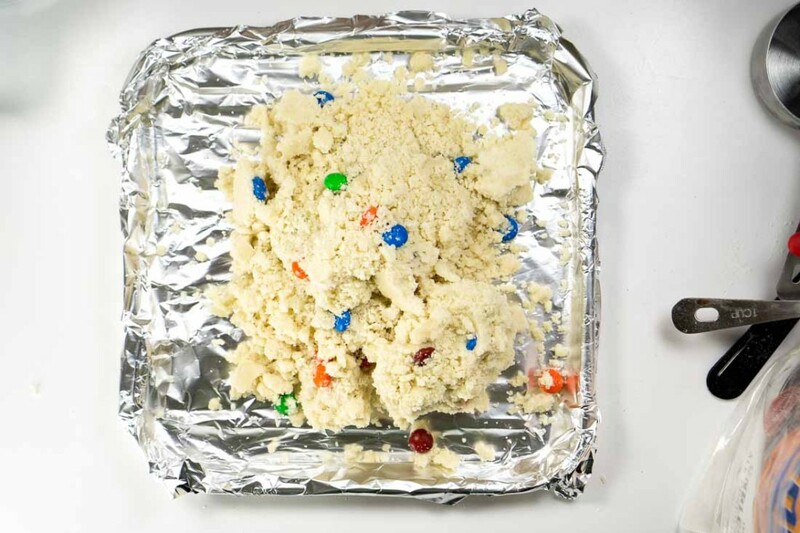 Dump mixture into a foil-lined toaster-oven tray and roughly smoosh it into the pan with your fingers. Bake 20-25 minutes at 350 degrees (or whatever is the closest setting to 350 degrees), checking more frequently towards the end to make sure the cookies don't burn. (Don't worry if they do -- they'll still be delicious.) 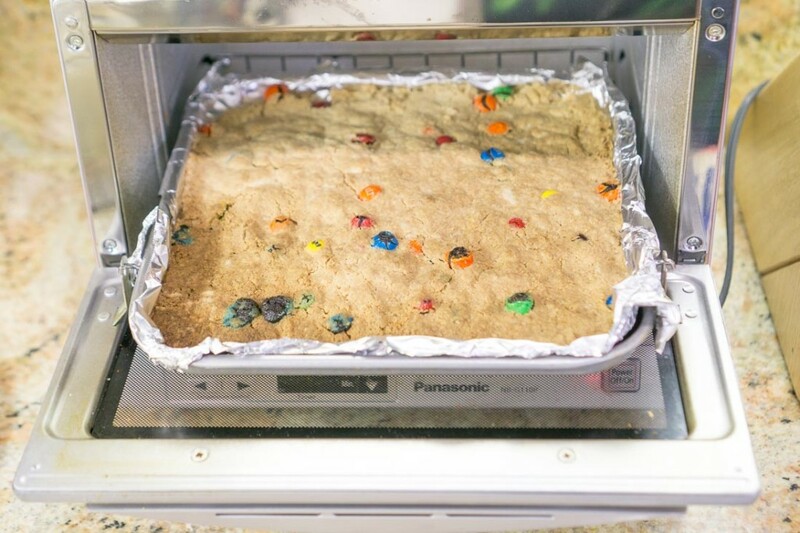 Remove from toaster oven, let cool, and break into pieces. If you want to include 1/4 tsp. or more of salt in the recipe, or to use salted butter instead of unsalted, I won't tell.